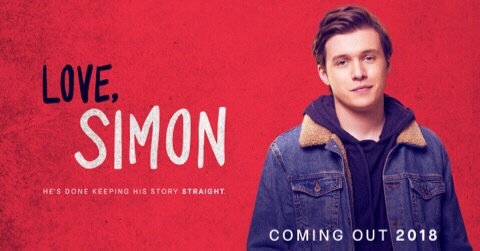 I recently read the YA novel this movie is based on (Simon vs. the Homo Sapiens Agenda by Becky Albertalli – review HERE). I enjoyed the book and would say it’s one of the better YA romances I’ve read recently so was looking forward to seeing how well they did with the movie adaptation (even though romance isn’t really my thing). I have to say that this is one of the rare occasions where the movie is possibly slightly better than the book. It’s close. They did change quite a few details from the book, which doesn’t always work for people who want to see the story in the exact same way. For example: They added more humor to the movie (a lot of this via a vice principal who didn’t exist in the novel) and Simon has only one instead of two sisters. The changes don’t negatively affect the overall story, though. Simon still feels like the same character from the book and the romance still works well. Actually, Simon feels a little more “real” in the film. His internal struggle is also somehow more apparent and believable in the movie. I think Nick Robinson has done a good job with Simon as it’s not often that a movie character feels slightly more fleshed out than the book character. His family also feel closer in the movie and I liked that they spent plenty of time focusing on his relationship with his them as well as with his friends. I enjoyed this story and would recommend it to anyone who likes a good teen book and/or movie. If you’re a reader, I definitely recommend reading the book and then watching the movie. There are enough changes that it’s worth knowing both stories. Overall, the film is slightly better and the characters feel more realistic but I far prefer the ending in the book. I’ll of course avoid spoilers but the film adds a little too much drama to a final scene, making me prefer the more likely scenario in the book. This scene was the only time the film felt a little false, though. Overall, the topic is handled very well. The movie uses humor and sensitivity and thankfully never goes over the top on drama. 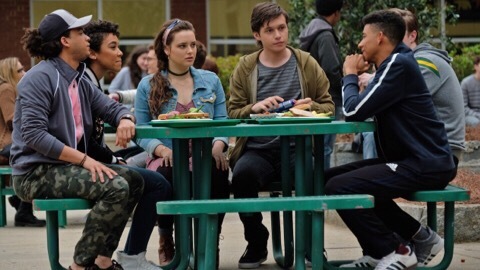 Being from the John Hughes generation, I can’t say I’m going to be able to fully relate to a modern teen movie but I’m glad that current teens have films like Love, Simon. It’s a good film with enjoyable characters and I’m sure it’ll be a favorite for many current teens. Judging by its 8.1 rating on IMDb, it seems to be a favorite already.